Any visiting royal should think twice about visiting Australia during November, warns history editor Dr Glenn Davies, with today being the 40th anniversary of the Whitlam government dismissal and November in Australia being full of republican symbolism. HERE WE GO AGAIN! Why do these princes keeping coming to Australia? It used to be only once a generation thing. Now they seem to be coming all the time. It used to be as rare as a bunyip sighting. There’s no place for princes in Australia — unless they are galloping across the winning line at the Melbourne Cup, THAT IS. In July 2015, it was announced that Prince Charles and his wife Camilla, Duchess of Cornwall would be visiting Australia. This would be Prince Charles 15th visit to Australia and the second joint visit by Charles and his wife Camilla, the Duchess of Cornwall. Prime Minister Tony Abbott welcomed the news from Clarence House. However, on 15 September 2015, the republican Malcolm Turnbull became the 29th Prime Minister of Australia. Now, rather than the arch monarchist Tony Abbott, Prince Charles will be met by his republican successor, Malcolm Turnbull. The first prince to visit the shores of Australia arrived in November 1867 as has the latest royal prince. Prince Charles also last visited in November 2012. What is it with November and visiting princes? November in Australia is a time of the year full of republican symbolism. The republican season includes the anniversary of the 1999 republican referendum, as well as the anniversary of Prime Minister Gough Whitlam’s dismissal by then Governor-General John Kerr in 1975. The latter event remains the most dramatic event in Australia’s political history and began the modern republican movement. 2015 will also be the first anniversary of the November 2014 memorial for Gough Whitlam. Any visiting royal should think twice about visiting Australia during November. 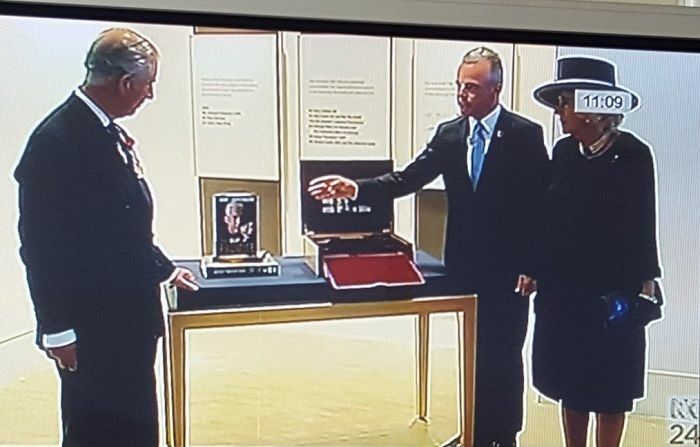 Admittedly, the current royal tour would have been organised when monarchist Tony Abbott was still prime minister. Back in the UK, Prince Charles would have seen the forelock tugging treatment his sons William and Harry received during their royal visits and thought it a good time to visit Australia. During Abbott’s tenure, Prince Philip received a knighthood, Harry was feted all around the country and Abbott waxed on about our British heritage. But still, Prince Charles’ Clarence House advisers don’t seem to realise this is the republican end of the year in Australia and is not the best time for British royalty to show up and remind Australians there isn’t an Australian as Head of State but rather a member of an aristocratic family living in a foreign castle over 9000kms away. The fact that they do show demonstrates either a desire for a combatant stance against the tide of republican sympathy, a casual disregard for any desire for independence within the Commonwealth, or blissful unawareness on any debates about an Australian as our head of state. Whichever way, Clarence House advisers are obviously out of touch with the Australian political landscape to have approved a visit to Australia during the "republican season’. Although Prime Minister Turnbull signalled he would not rush to revive the republic debate, only days before Prince Charles’s visit, he pointedly abolished the awarding of knighthoods and damehoods, saying they were “not appropriate” for modern Australia. If there had not been a recent change of prime minister the current royal tour would have made a royal bookend to the year which began with awarding a knighthood to Prince Philip, Charles’ father on Australia Day 2015. This "captain’s pick" by Tony Abbott had been greeted with general derision and disbelief. This decision the first significant policy change for the Turnbull Government and was a decision widely applauded as it resolved a national embarrassment. Prince Charles was awarded an Australian Knighthood in 1981. This makes him only one of two Australian Knights still living and the longest of these to have held the award. As Prime Minister Turnbull prepares to host his first official royal visit, he could have some explaining to do at Government House when they meet on 11 November. However, most Australians would agree that with the removal of knights and dames from Australia the calendar has been reset to 2015. Prince Charles and Camilla, the Duchess of Cornwall began their 12-day tour of Australia and New Zealand on 4 November 2015 when they landed in Wellington, NZ. Charles pleased New Zealanders by declaring how happy he was that country had won the Rugby World Cup. Perhaps the prince forget where he heading next, because on 10 November 2015, the royal pair decamped across the Tasman Sea to Australia where they will visit Adelaide, Barossa Valley town Tanunda, Canberra, Sydney, Perth and Albany. On 14 November, Prince Charles will be returning to Perth’s North Cottesloe beach for his 67th birthday barbeque bash. Perhaps he is hoping to remind everyone he was once seen as a desirable bachelor. This latest royal visit is a bookend also to the first royal visit, which occurred over five hot months from 1867 to 1868. This was undertaken by Queen Victoria’s second son Prince Alfred, a Royal Navy captain on a round-the-world voyage on board the HMS Galatea. Stops were made at Adelaide, Melbourne, Sydney and Brisbane. He first landed at Glenelg, in South Australia, on 31 October 1868. As the first member of the British royal family to visit the Australian colonies, he was received with much enthusiasm. During his stay of nearly five months, Alfred visited Adelaide, Melbourne, Sydney, Brisbane and Tasmania. At a meeting on 20 January 1868 to elect three trustees from the subscribers to the fund for the erection of the first Grammar School in Brisbane, there was a discussion on the probability of Prince Alfred who was about to visit the colony to lay the foundation stone. During his visit to Brisbane, Prince Alfred laid the Brisbane Grammar School Foundation Stone on 29 February 1868, however the people of Brisbane refused to yield to the pressure around all the colonies to name all institutions after the visiting royal. Instead of naming the school after him, the event was commemorated in the present School with his coat-of-arms included in the northern stained glass window of the Great Hall. The fact that he wasn’t liked much helped the burghers of Brisbane maintain their "republican" stance. On 12 March 1868, during his second visit to Sydney, Prince Alfred was shot in the back by a revolver by Henry James O'Farrell in an attempted assassination while picnicking on the beach in the Sydney suburb of Clontarf. This created a wave of sectarian hatred and fanatical declarations of loyalty. In this climate, republicanism became associated with fenianism, violence and anarchy. One result of the Irish assassin O’Farrell’s shot was that Henry Parkes passed the Treason Felony Act which made disloyal talk of any sort a crime, punishable by six month’s prison. Prince Alfred was wounded just to the right of his spine but was saved from serious injury by the rubber suspenders he was wearing to hold up his trousers. He recovered fully and continued on his world tour. The first royal tour included a school rejecting the use of a royal title, as well as being shot at while attending a beach barbeque. The first event has an echo in the current abolishing of knighthoods. Hopefully though there won’t be any incident at the Cottesloe beach birthday barbeque like Clontarf beach in 1868. Throughout most of the 1990s, Malcolm Turnbull led and funded the Australian Republican Movement. Even though Turnbull has played no active role in the Australian Republican Movement since the 1999 republican referendum defeat, for many Australians he is still the face of the call for an Australian as head of state. It is his name that many ordinary Australians first mention when the republican argument is brought up. And history may yet remember Turnbull as the man who put the pieces back together again. In any case, November is a great time to be a republican in Australia.